With the holiday season fast approaching, it seems like everyone is getting ready to shop till they drop. 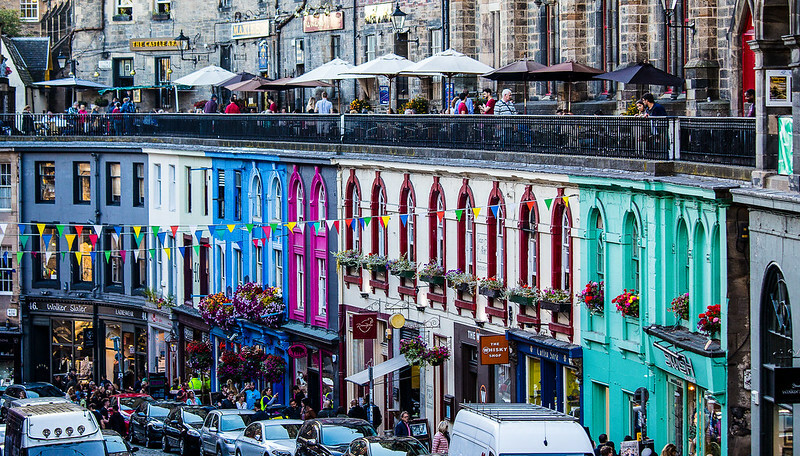 Edinburgh, the capital city of Scotland, is a shopper’s dream. Whether you’re a tourist looking for small Scottish-themed gifts to take home to family and friends, or you’re spending the day along Princes Street shopping at all the high street stores Edinburgh has to offer. Shopping in Edinburgh can bring all kinds of unexpected surprises as it’s filled with upmarket boutiques and tiny, independent stores nestled next to each other. When you’re tired from shopping, why not go enjoy one of the top Edinburgh hookah lounges this multicultural city has to offer? It’s a perfect way to unwind! Situated near the Edinburgh Playhouse and Calton Hill, this is a great Middle Eastern restaurant to go to. Enjoy some mezze-style snacks after shopping, or to take a quick break for Arabic coffee and tea. They have a private decking area where you can enjoy a flavoured hookah pipe, with knowledgeable and helpful staff to guide you through your shisha experience. If you’ve been shopping closer to Old Town, why not pop into Hanam’s for a break. Its has a gorgeous panoramic shisha terrace, with its view of Grassmarket? You can relax and enjoy an incredible hookah experience while soaking up the sights. A great choice for Edinburgh hookah lounges, with experienced staff to help you, and no booking required. When you’re exhausted from all your shopping in Edinburgh’s historical city centre and want to spend some time at home smoking your hookah pipe and experimenting with new tobaccos, why not recreate your own Edinburgh hookah lounge with all the supplies you need? Whether it’s pipes, charcoal, or a range of shisha flavours you need, you’re sure to find everything at The Shisha Shop. We’ve got what you need, from complete sets and bundle packs to separate accessories. This includes components such as shisha pipes, hoses, flavours and handy accessories like mouth tips. We also stock a vast range of tobacco products, including tar and nicotine free options!